One in five credit reports contains errors, according to the Federal Trade Commission. These erroneous entries could make a substantial difference – you might find yourself being denied a loan or being charged high interest rates. There are three major credit bureaus in the United States – Equifax, Experian and Trans Union. By law, they are mandated to maintain error-free credit reports. However, they might not always know whether a particular item is erroneous or not. They rely on reports provided to them by creditors. Because this reporting is not mandatory, it is more than likely that your credit scores will differ with these three bureaus, all of which operate as for-profit entities. They also have company-specific algorithms that they use to arrive at your score. You are legally entitled to one free credit report from each bureau every year. You can request all three bureaus simultaneously, and then look at them to see if there are any errors that need to be disputed. You may even have been a victim of identity theft so it is important to stay on top of your credit reports. If you have been denied a loan, you can request the lender provide the credit score/report on the basis of which the decision was taken. 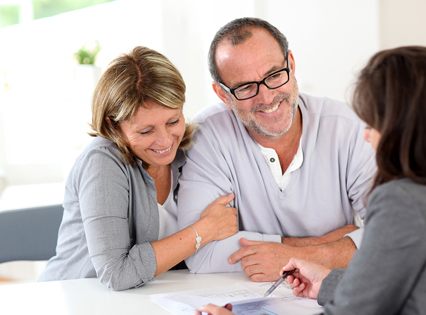 The lender must provide you a copy within 60 days – that is the law. Credit repair companies dispute these errors on your behalf. They will also identify other items that need to be removed from your report – debt settlement, bankruptcy, tax liens, charge offs, late payments, judgments and repossession. Reputable credit repair businesses will let you know in advance which items they intend to work on and what can be done. Often this is done in a free upfront consultation. Sometimes, the credit bureaus might refuse to remove an erroneous entry on the grounds that it is based on lender reporting. Credit repair companies then contact the lenders and work with the credit rating agencies to get the negative items removed. There is the also the possibility that the lender has gone out of business. In such a case, the credit bureau has no choice but to remove it if it cannot be verified. Credit repair companies work closely with lawyers and legal experts who are familiar with the intricacies of the Fair Credit Reporting Act and are able to help their clients get adverse entries removed from their credit report. Good credit repair companies are committed to helping consumers improve credit scores. There are three companies that we highly recommend and have been in business for decades knowing exactly how to effectively get credit improved the right way. Because of this, they also have higher success rates, millions of customers, and excellent ratings from the Better Business Bureau. They will also advise you on how you can rebuild your credit score, keeping in mind that your financial circumstances are unique to you alone.